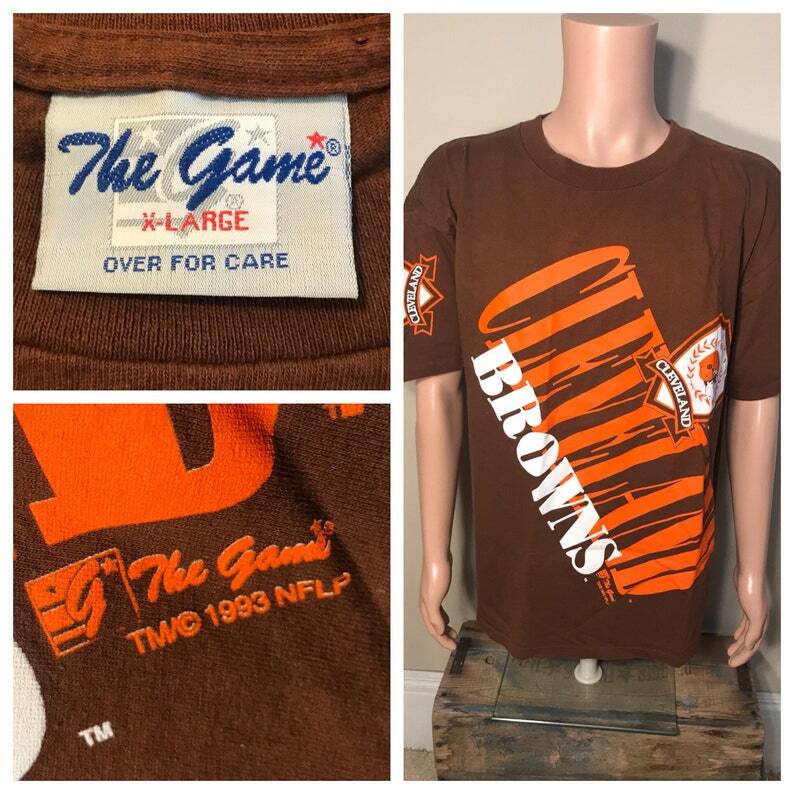 Awesome old browns shirt. Adult size XL. Shirts in great shape. Looks like it was never worn or used. Measurements below. Check out pictures to see what you get. Item measures 25" armpit to armpit and 29" in length from top of shoulder to bottom.